Configurable and Versatile: The versatile 4Post™ provides organized storage of items of any size or weight while keeping them easily accessible. Its configurable modular design allows you to "grow as you go" - begin with the Starter unit, then select Add-On units to accommodate your facility's storage requirements as needed. 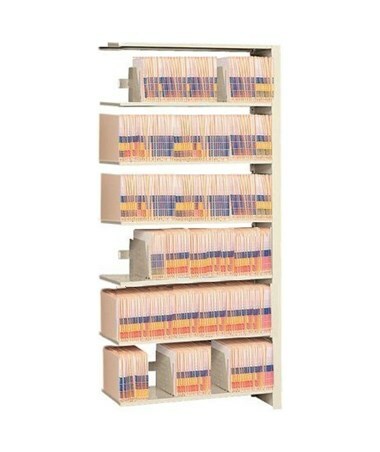 This flexible shelving system is easy to install and works well with TrakSlider and MobileTrak moving shelving systems. With pre-punched tops and single rivet bottom shelf supports, it easily attaches to these mobile systems without the need to drill additional holes. Model: This model has a height of 64-1/4” and a capacity for 4-6 tiers. It is a Single Entry Add-On Unit. Single Entry - there is access to the files on only one side of the unit, as opposed to both sides (Double Entry units are available for purchase separately). 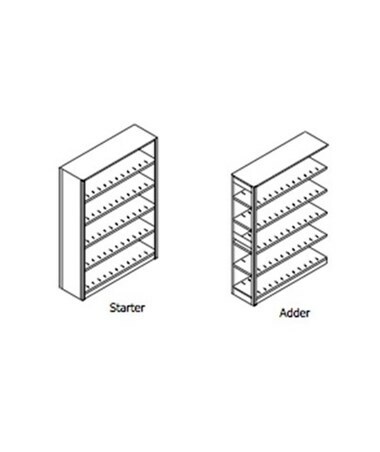 Add-On Unit - it is designed to be added onto a Starter Unit (purchased separately). 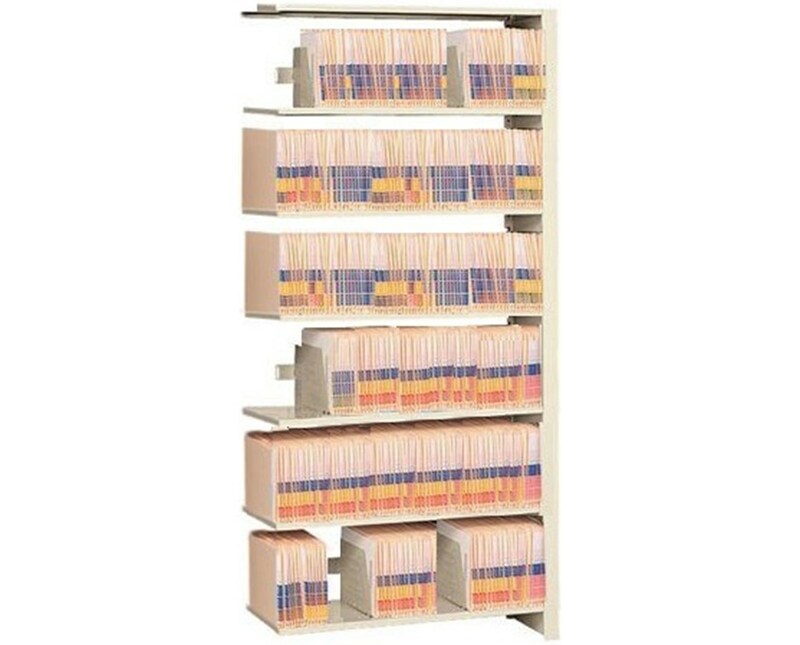 The 4-Post Add-On Filing System comes with several customizable options in order to provide you with the perfect product that fits your specific needs. Select your preferences from the options shown above. Contact us for assistance with the many available customization options. Depth Letter: 12" / Legal: 15"
Product Weight 37 - 125 lbs.